Rumours are always there to take rounds suggesting something new on the internet. That’s what happens since the news of Apple iPhone 8 designed, was roaming with leaks. The news comes from the Apple’s metal supplier that the latest rumours are telling us, Apple will be releasing the iPhone in 2017 fully made of glass. It recommended the company to drop the aluminium casing that currently used for iPhone. Notes from Mirror.co.uk said several rumours are also indicating that release of iPhone sometimes later this year will resemble the iPhone 6 and iPhone 6s in designs. 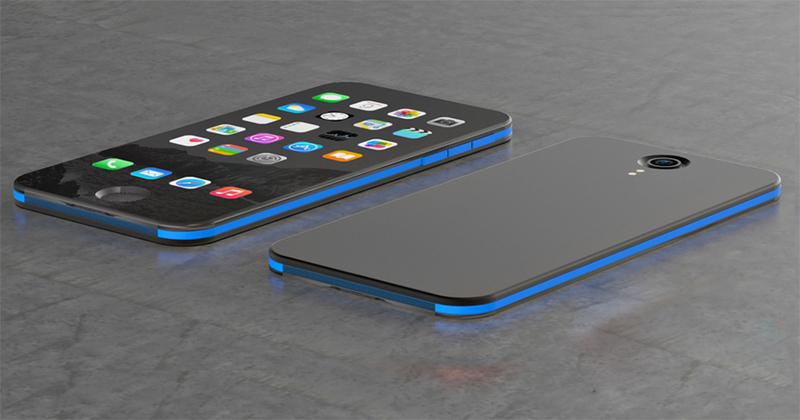 Nevertheless, reports declared that Apple is planning to fully renew the design element of iPhone. It also claims that the new screen technologies will be available with new look & form. The Taiwanese company has been rumoured about the supplies metal casing for Apple, would lose business. At News.com, the CEO of Catcher Technology Allen Horng said, the company would continue to supply products and obviously, Apple will be available in the glass design. In this respect, Horng said, “As far as I know, only one iPhone model will adopt glass casing next year”. He further added, “I don’t think this move will have an impact on Catcher’s revenue as glass casing still needs a durable metal frame which requires advanced processing technology”. As per the leaked images of iPhone 7 will be 138.30×67.12×7.1mm while iPhone 7 Plus will measure 158.22×77.94×7.33mm. It was also noted that iPhone 7 will sport 3,100mAh battery and it is 12.5 percent larger than the iPhone 6S Plus. This entirely means the phone would stay for longer power with a thicker casing. A sales growth was reported less by January,nevertheless, a decline is expected in the current quarter. Moreover, earlier this month, a Chinese site have shown images of a gold handset which is expected to be released in September this year.